Everybody is hearing these noises! And nobody knows why they occur! 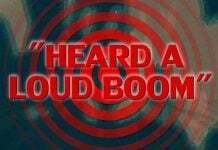 A compilation of loud unexplained booms and rumblings for February 6-8, 2015. 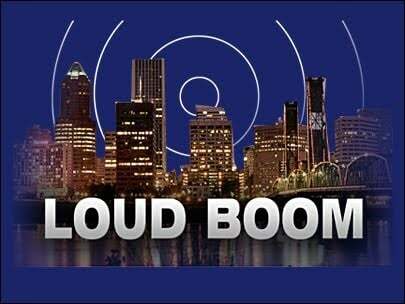 A loud boom and shakings have been felt at around 10 p.m. on Saturday in Billings – From the west end, to the Heights – in Montana. Is this the Yellowstone supervolcano waking up? Or more probably an underground electrical explosion… We will probably never know! 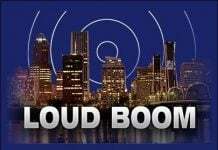 Loud booms and rumblings have also been reported yesterday from North Graves county and Possum Trot into Paducah, Kentucky. As it seems by the numerous Facebook comments, these rattling noises have been experienced at about 10:15 pm. And nobody seems to know what’s causing them. Do you have any explanations? Post by Goldie Denise Bradford. I would actually believe these are fracking booms… As the weird noises shaking across a wide area of Oklahoma yesterday evening around midnight…What about you? Post by Brenda Riffle Thouvenel. There were also reports of booming sound over a huge area from Indiana to Virginia… Was this a meteor explosion? And again on Saturday, loud booms have been felt around Greens Prairie, Texas. Do you know what is the loud booming noise near Woodlake? Feb 7, 2015… 2 extremly loud booms in northern spartanburg County SC.. the first was app 1pm and the 2nd was app 3:30pm. Shook the house, my dog is still freaking out. I live in Clearwater, Fl. On Saturday night around 9pm I heard a loud rumbling sounding like a freight train coming from the sky, it lasted about 10 or 15 minutes. I was very scared, we do not live near any railroad tracks , and we can’t hear trains from our house. What was the strange noise I wonder ? I LIVE IN BERRYVILLE ARKANSAS ABOUT AN HOUR AGO WE HEARD A LOUD BOOM FELT ALL OVER MY COUNTY.NO ONE KNOWS WHAT IT WAS. 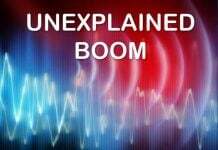 Did you hear another unexplained boom we could add to this list? And the booming mystery deepens! Not fracking. North American plate is moving. Look where all current volcanic activity is occurring. The boom is the plates that press against one another are releasing tension. That is why it’s so far spread. To learn more about the phenomenon visit HawkkeyDavisChannel and my u-tube pg EngimaSeeker. See link. It’s happened here in Mississippi, too. “Mysterious Atmospheric Sounds” Laymen not less than scientists have from time to time been surprised by peculiar booming sounds in the atmosphere which in every way recall the concussion from a distant firing cf cannon or that produced by the discharge of a mine in blasting operations With seemingly common good sense and as an easy explanation of every day phenomena these sounds have been attributed to causes such as have been mentioned without any effort having been made to ascertain if explosions of one kind or another had in reality taken place at about the times in question It now appears that these seemingly every day phenomena or such as are attributed to mans own handiwork. Are phenomena of much deeper significance being of a natural order and connected with some as yet unrecognized force or quality of the atmosphere or with some internal disturbance acting within the earth itself The study of these mysterious sounds which have been especially noticed on the coast of Holland here they are known as the “mistpoeffet” and elsewhere on the English channel in various parts of Belgium in upper Bavaria in the delta of the Ganges on the island of Java and near the mouth of the Congo has for a number of years attracted the attention of geologists and physicists and is at the present time the special work of Professor E van den Broeck the director of the Royal Belgium museum of natural history It is not a little remarkable I that the phenomena in question which had already been noticed by Bacon and to which attention was called by Thomas Parnell the better part of two centuries ago should have escaped investigation until within the last few years a condition that is explained only through the circumstance that The explanation based upon artificial firing was so readily acceptable supposition that the sounds are merely a form of atmospheric disturbance seems to be indicated by the observations of Captain Jungers on the Congo who states that during the operation of the mistpoeffer there was no deflection of the theodolie on the other hand Professor George Darwin of Cambridge and Professor Penck of Vienna hold strongly to the belief that the sounds are the result of concussion within the earth possibly or probably a following of movements of the younger rock strata which make up the superficial part of the planetary crust With a view to fully determining this interesting data M van del Broeck is collecting all data bearing upon the geographical distribution the sounds and tabulating the special meteorological conditions under which they occur He finds at the present time that they are most numerous during the summer months and during the hottest hours of the day . I think someone cut a big ol fart.